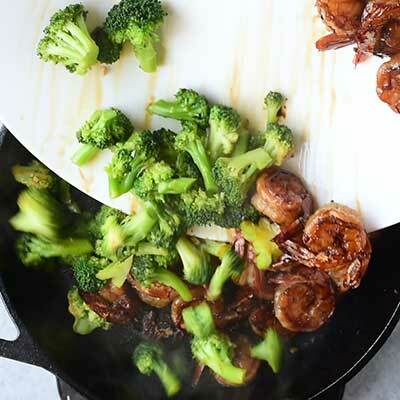 This browned honey garlic shrimp with tender broccoli makes for a super easy dinner that packs a wallop of flavor with simple, common ingredients. Because, shrimp. Shrimp is life. I could seriously live off of shrimp. And for two, this is a complete one-pan meal made in a classic cast iron skillet. You simply can’t get more “perfect weeknight dinner” than that! And let me tell you, with as hectic as this week has been, I needed an easy win dinner like this one. Actually, now that I think about it, there’s been so many hectic weeks lately that I’m starting to think that this craziness will be the new norm – which I’m sure many of you can relate to right now. And, sadly, hectic weeks make it that much harder to find the time to cook up recipes that The Husband and I want to eat on a regular basis, let alone recipes that are good enough to share with all of you. 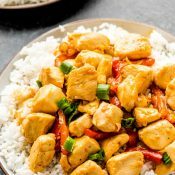 But then, that’s why I love days like today, because this gem of a recipe is not only super easy but packs a lot of flavor with simple, common ingredients. This is the kind of recipe that helps me get through my oh-so-hectic days. 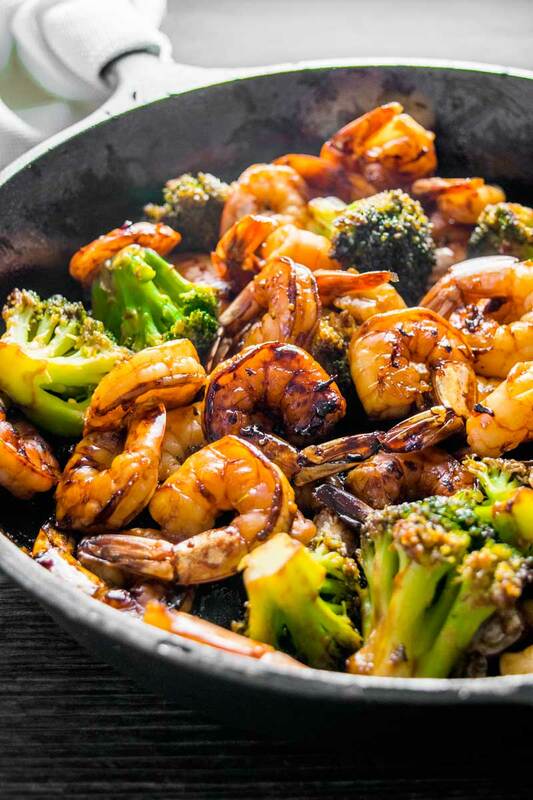 All you need is soy sauce, honey, garlic, ginger, shrimp, and broccoli. And if you add in some minute rice (or maybe some 10 minute egg fried rice?) and that’s all you need for a completely stress-free dinner. I am SO on board with that! Ironically enough, I snacked on the leftovers from this recipe while I was writing my epically long to-do list for today. Here’s hoping I’ll be able to check off the “create more easy and awesome recipes” before the end of the week! Can you use frozen shrimp? 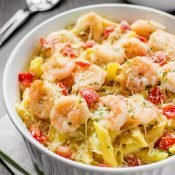 Since the shrimp are the showcase of this recipe, I usually purchase mine from the deli as opposed to using frozen. I found I enjoyed this dish much more when I’ve shelled out the extra few bucks for the freshest seafood I can find. 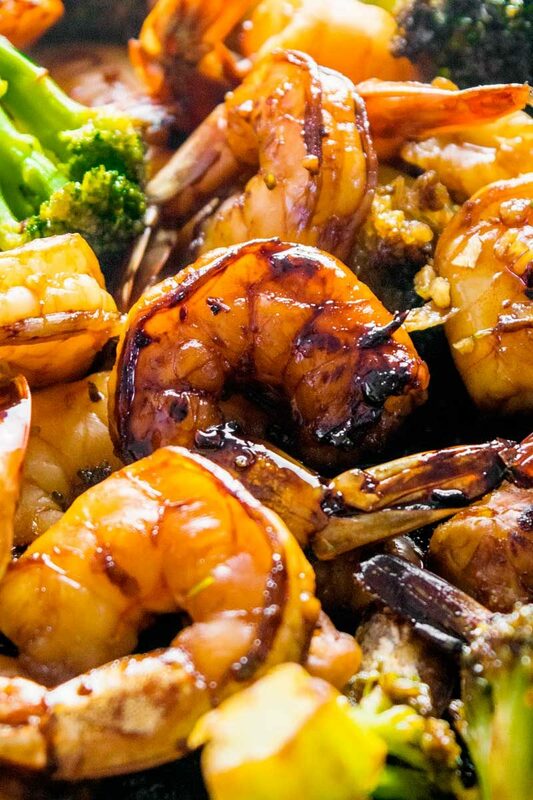 However, that doesn’t mean you can’t use frozen shrimp. You certainly can. Just be sure to thaw, rinse, and pat them dry before cooking. 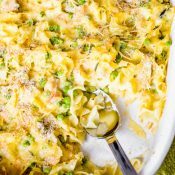 A few readers have asked whether you need to use fresh or frozen broccoli for this dish. Unlike the shrimp, I tend to use frozen broccoli with this dish. I thaw it out by running lukewarm water over it, pat it dry, and then use it like normal. So to answer this question, feel free to use either fresh or frozen broccoli. As long as the broccoli is room temperature and dry before cooking, then you’re good to go. If you don’t already own a trusty piece of cast iron, I highly recommend picking one up. A good piece of cast iron will last you ages. I still use (and love!) this reasonably priced 10-inch cast iron skillet. Many will tell you that cast iron is hard to take care of, but I think the biggest challenge is just knowing how to do it. 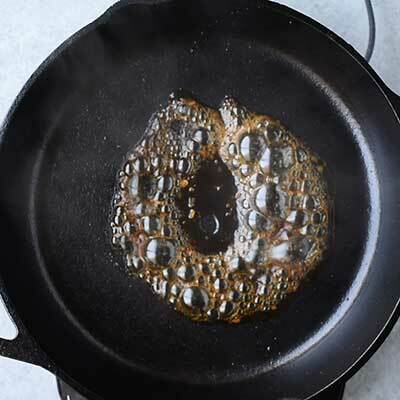 This post about the truth about cast iron has some great tips and tutorials! Cooking shrimp can be very tricky. To a trained eye, you can see that even the shrimp in these photos are a tad overcooked (the unfortunate result of trying to work a video camera while I cook.) 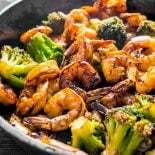 If you’re looking for some helpful pointers on cooking crustaceans, be sure to check out this guide on How to Cook Shrimp and Mistakes to Avoid. 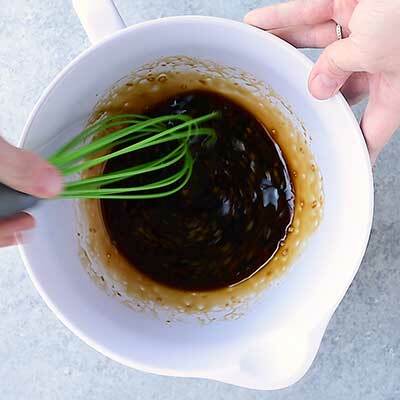 Step 1 – In a large bowl, mix together garlic, ginger, soy sauce, and honey, then whisk them well to combine. 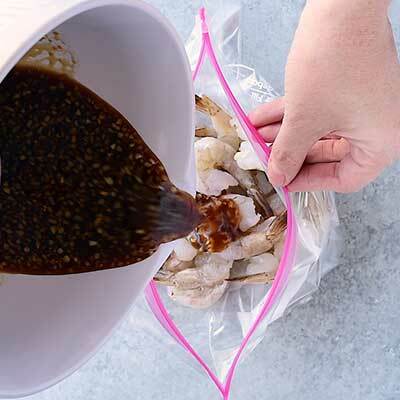 Step 2 – Place shrimp in a large Ziploc bag (gallon sized), then pour about 1/3 of the honey garlic sauce inside. Seal the bag and gently toss the shrimp to coat with the sauce. 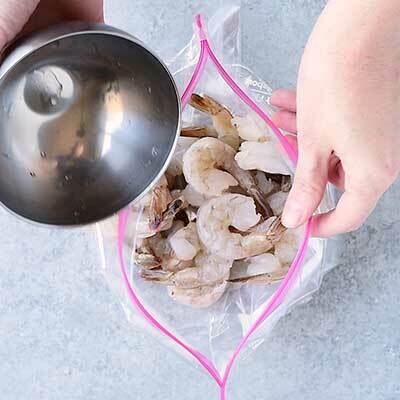 Step 3 – Place the shrimp in the refrigerator to marinate for at least 1 hour. 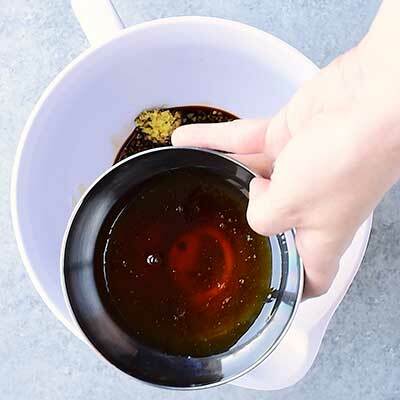 While shrimp marinates, cover and save the remaining honey garlic sauce (you’ll be using it later). 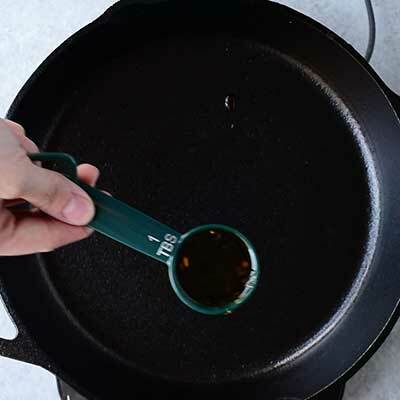 Step 4 – Heat up a 10-inch cast iron skillet over medium-high heat, then add about two tablespoons of the honey garlic sauce. 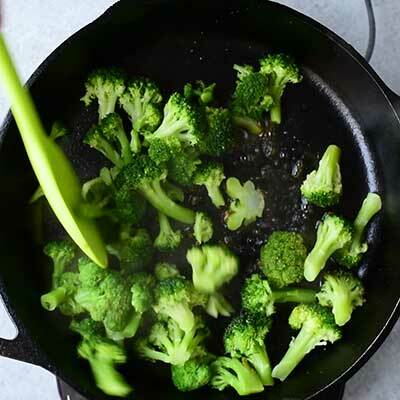 When sauce starts to sizzle, add broccoli to skillet and cook until warm and tender, about 5-8 minutes. Once cooked, transfer broccoli to a plate. 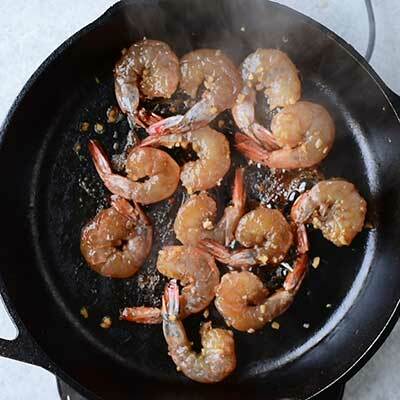 Step 5 – Add more honey garlic sauce to skillet, then add in shrimp. Do about 5-10 shrimp at a time, cooking for one minute on each side (or until the shrimp bodies are curled and browned). 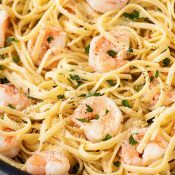 Use a pair of tongs to gently rub the shrimp into the caramelized sauce in the bottom of the plan, then transfer cooked shrimp to a plate. Repeat this step until all of the shrimp have been cooked. 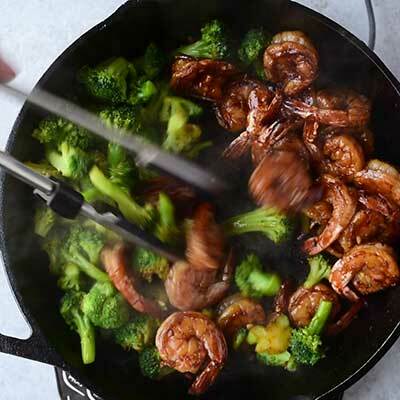 Step 6 – Return the broccoli and shrimp to the skillet and toss together. Cook for a few minutes until all ingredients are an even, hot temperature. 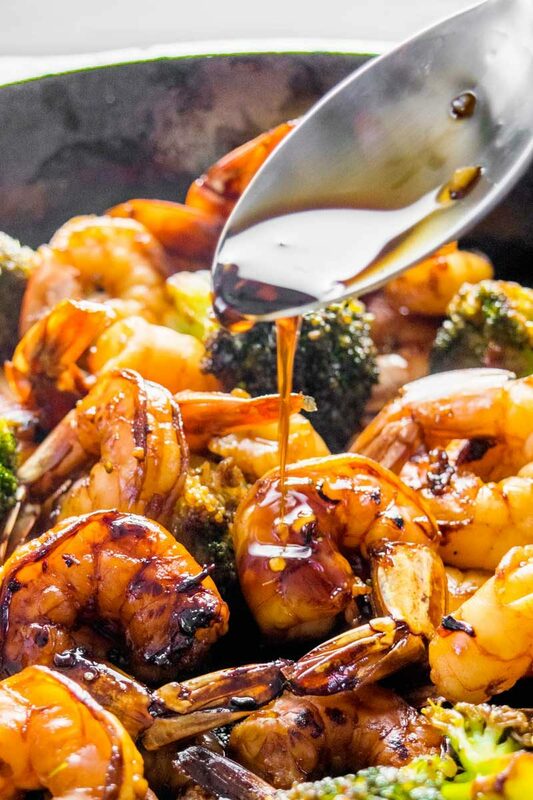 Step 7 – Serve honey garlic shrimp and broccoli immediately with more honey garlic sauce drizzled on top! 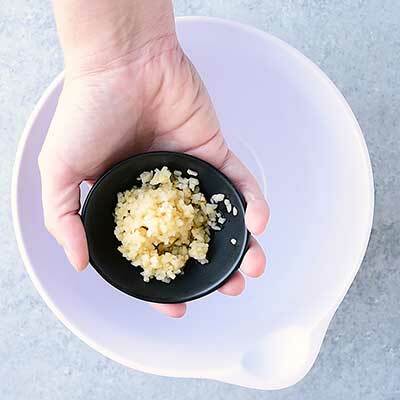 In a small bowl, mix together garlic, ginger, honey, and soy sauce. Set aside. 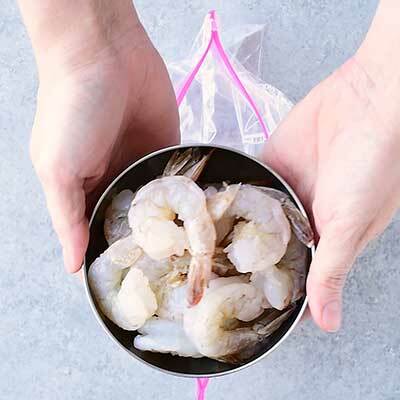 Place raw shrimp in a Ziploc bag (gallon sized). 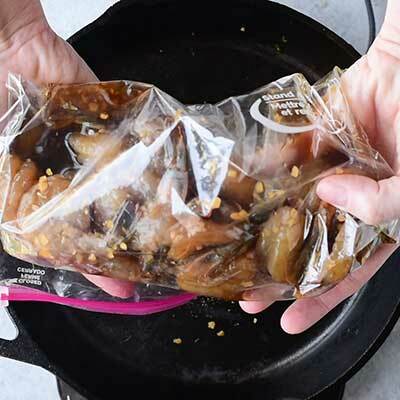 Pour 1/3 of the honey garlic sauce in the bag, then massage the bag to coat shrimp. 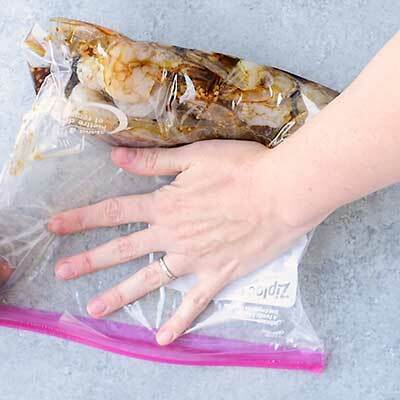 Seal bag and let shrimp marinate in the refrigerator for 1 hour. 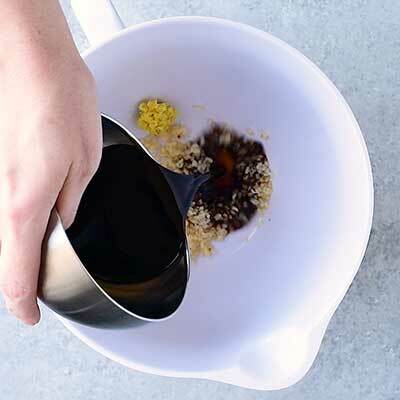 Keep the remaining honey soy sauce covered and at room temperature. Warm a 10-inch cast iron skillet over medium-high heat. Add 2 tablespoons of reserved honey garlic sauce to pan and let heat until steaming. 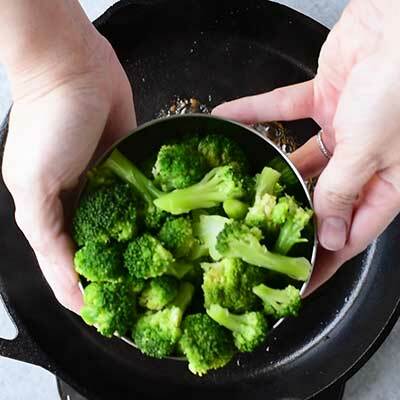 Toss broccoli in skillet and cook until warm and tender, about 5-8 minutes. 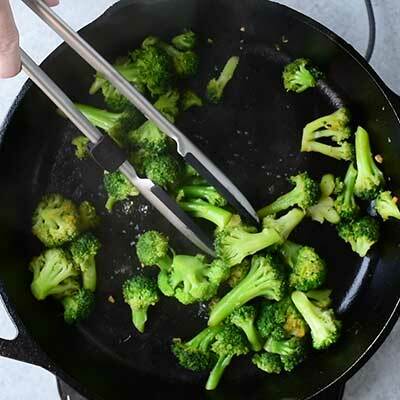 Remove broccoli from skillet and set aside. 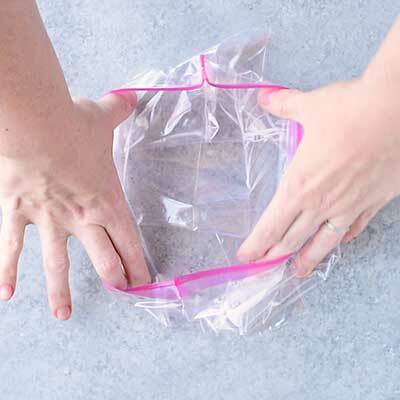 Remove shrimp from Ziploc bag and discard the bag and marinade. 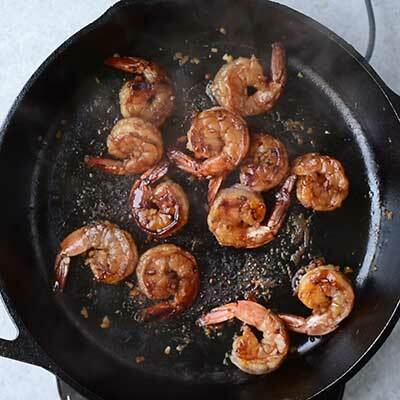 Place 5-10 shrimp in the skillet at a time and cook for 1 minute on each side or until shrimp bodies are curled and browned. 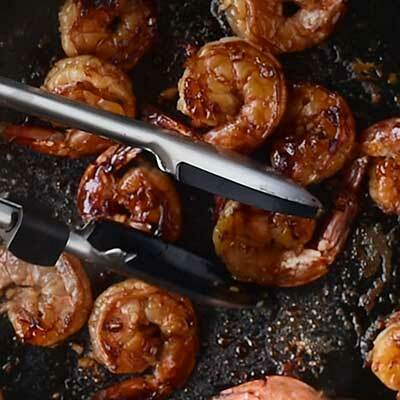 Before removing from pan, use tongs to rub shrimp into the caramelized sauce on the bottom of the skillet. 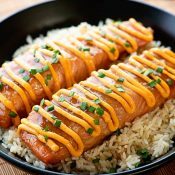 Serve immediately with remaining honey garlic sauce drizzled on top. 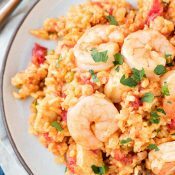 How would you incorporate pre-cooked shrimp with this recipe? Hey Jackie! Since this recipe includes marinating the shrimp, I’m not sure there’s a “good” way to use pre-cooked shrimp for it. I’ve only ever made it with raw shrimp. Sorry I’m not more help! Very good recipe. I used coconut aminos to make it AIP compliant. However, mine was watery and not thick like I had hoped. Any suggestions? It’s a hit! My husband’s loved it! Will definitely be meeting again!!! I’m *so* glad to hear that Brittany 😀 Thanks for writing in! i thought it had extra liquid so I made rice and my broccoli seemed rubbery-I want to try again and I want to do it with chix too. This is so good and I love how easy it is to make! Made a huge batch for the family and everyone loved it. Thanks. Only thing different I did was add a little extra honey on top of each serving. It was great. Your recipe says, prep 5 minutes, cook 15 minutes total time 1 hr.??? What am I missing> How does it take 1 hour to complete ?? Hi Chrisy. This recipe looks delicious. I will have to adjust it a little though. 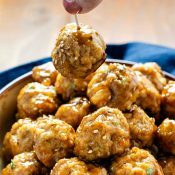 I’m on the low carb diet and looking through your recipes found that these are not low carb. That’s okay, I can pick and choose which ones I can use. Hey Chrissy! I just made this for me & my in laws. I’m so glad I had it pinned it was delish! Of course the day I decide to make it is the day I forgot honey on my shopping trip! Just wanted to let you & everyone else know I substituted Blue Agave syrup & it turned out great! My in laws atebit as a side dish & I devoured the rest as my meal. Mom in law said Oooo this is good you’ll have to make this again! Thank you for posting this recipe. I found it on Pinterest. I made this for dinner tonight. It was not a hit. It was just too sweet for us. But I do have ideas how I can revise it. Thanks again. Living on the coast of SC I am fortunate to have local shrimp just about year round. I made your recipe last night just for me—am making Sunday (Mother’s Day ) for all. I keep a ‘knob’ as it is called–a long bumpy piece of fresh ginger in my freezer in a zip bag–take it out-cut a piece-peel and grate amount needed. It keeps for a long long time. I followed your recipe exactly with 2 exceptions–I doubled it and I added 1/4 teaspoon red pepper flakes. 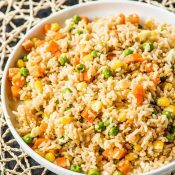 I had “mine” over brown rice but will serve this with Thai rice stir-fry noodles ( in grocery on Chinese food Aisle–just heat ’em up ) This recipe is so good for 1, for family or for a dinner party. It is quick-especially if you get all your items together. 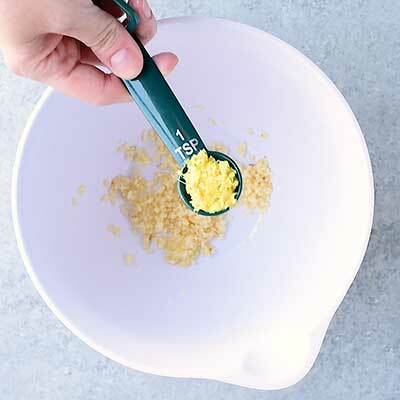 You can adjust spiciness, as well as, your like of garlic and ginger. I promise if you make it once–you will make it again. and again, and……..
How long does this stay good in the fridge for? 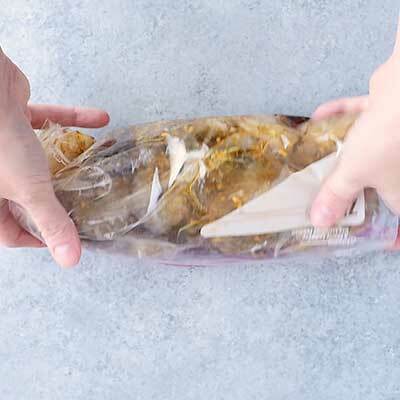 Can you freeze it once cooked? If so for how long? Very good! I used in the marinade the organic coconut aminos . 300 sodium per tablespoon and 5 sugars per tablespoon , 3/4 of a cup of the aminos and 1/4 cup of soy sauce. Perfect. Trying to cut back on both. The sodium is 1704 per serving in this recipe. So it does help. My husband can add more if he wants. This is a keeper , shrimp were delish!